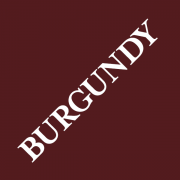 You must read this report very carefully if you are thinking of buying any wine during the 2013 Burgundy En Primeur campaign. Because I am not pushing this vintage hard and because this is far from a comprehensive list of scores I have decided not to charge for this report. This doesn’t mean to say that I haven’t analysed the wines and the conditions in 2013 with any less vigour than I do every year. I am disappointed to report that there are many underwhelming wines in 2013. As you would expect, the merchants are trotting out the same old, tired phrases that they do every year trying to convince gullible collectors that this is a vintage worthy of note. It is not. Honest merchants admit, albeit quietly for fear of being overheard, that this is not a vintage that they will be buying much of themselves. Only bumptious Hew Blair at J&B says that he will be filling up his cellar with ‘13s because he feels that they will make old bones – let’s hope he does, too, in order that he can endeavour to enjoy these wines. When questioned the rest of the merchants put on a fixed grin and shuffled off to talk to someone else with less combative questions. The reds are certainly tannic and acidic and this might lead one to surmise that they are built for the long run, but I am not wholly convinced. There is no flamboyance, flair or charm in this vintage. The whites are often raw and sour, too. There are severe, sinewy, taut wines made up and down the Côte d’Or. Caveat emptor. There are only a few wines that I consider to be balanced and therefore worthy of buying in 2013 – they are all featured in this report. I personally have only ordered three cases to date. You may have heard that the weather was atrocious in 2013 – it certainly was. It was also a very small harvest. 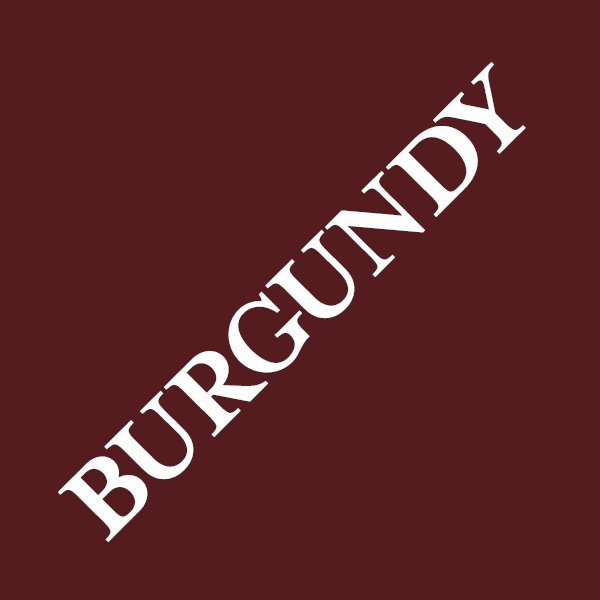 This has put pressure on Burgundians’ finances again and they will need three normal vintages in a row to get back to parity. Caroline l’Estimé (Domaine Jean-Noël Gagnard) told me that her yields in 2013 were much higher than in 2012 – 40hl/ha (in 2013) rather than 25hl/ha (in 2012) and that 2014 was back to normal at 45hl/ha. Long may this continue. This dearth of stock has meant that there is no softening of the price hikes we saw last year, in fact some wines have gone up again. This will, of course, not encourage customers into buying inferior wines. The main message that the merchants have been shouting is that stocks are on average 30% down. I heard, on numerous occasions, salesmen saying that wines had already allocated many of the wines and that people should get in quick for fear of missing out on remaining parcels. One even implied that it wasn’t worth putting half of the wines on tasting because they had already sold the lot. This is poppycock. You would be a mug to buy anything that you haven’t tasted and there is no way that this sales technique works with us wine-savvy Burgundy fans – we have heard it all before. In my opinion many of the wines would struggle to sell given the flavours on display at the various tastings. Granted there were many correct wines and some showed a degree of flair and élan but the vast majority failed to excite. When I read in one of the reports that winemakers felt that their wines were ‘infinitely better than expected given the difficult season’, I was mortified. You would be a fool not to be able to read between these lines. A cold Winter hung around through a depressing Spring and the inclement weather delayed budburst. When flowering eventually occurred, in late June, the weather was still overcast and unsuitable. These conditions reduced the fruit set which signalled, early in the season, that this was going to be a short harvest. The summer never really got going and violent storms in late July decimated large swathes (1300ha) of the Côte de Beaune, with Savigny-lès-Beaune, Pommard, Volnay and Meursault being the worst hit. One négociant I spoke to said he made only 3 barrels of one of his Savignys instead of the 40 barrels he was used to in a normal vintage. It forced him to buy in fruit from Gevrey and Chambolle – not his normal stomping ground. When the Summer finally came it remained warm, but not hot. The grapes were picked very late in order to try to achieve ripeness however rot was an ever-present menace. For many growers sugar ripeness seemed to have just about been achieved but true taste/physiological ripeness, it appears, was still some way off. This is the reason why the wines lack a juicy ‘middle palate’ and are so mean and hard on the finish. It is obvious really – they are basically unripe. I found a handful of wines that I liked and when I tasted them I immediately asked the winemakers what they had done differently in order to capture the fruit density and ameliorate the raw acid flavours. Their answers impressed me and to my mind they these sensitive Domaines really sort the successful estates from the rest. To my mind this is a discreet, connoisseurs’ vintage rather than a ‘beautiful’ one, according to Gregory Gouges. It is certainly not ‘among the very best ever’, as reported by Gerard Boudot of Etienne Sauzet. Etienne Grivot said that it was ‘difficult but incredible’ – with his prices going into the stratosphere he is obliged to talk them up! There was some talk about the increased use of (ripe) stems in order to soften the acidity in the reds wines. 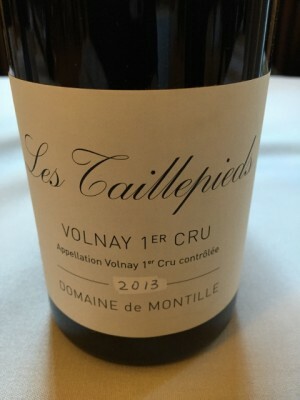 Brian Sieve, at Domaine de Montille, (whose wines looked uniformly exquisite) explained that judicious use of stems certainly changes the perceived acid flavours on the palate. It was clear to me that the less successful wines were just simply unripe and that the winemakers responsible were pushing them hard in the winery to try to extract some richness. When you do this you run the risk of increased astringency unbalancing the wines and this was exactly what I saw left, right and centre. One of the most perceptive winemakers in the region is Pierre Vincent from Domaine de la Vougeraie. His wines are slimmer than usual, as one would expect, but they are silky, buoyant, perfectly fresh and lively on the finish and there is no trace of rawness or bitterness. How did he do it? Pierre reported that his practice of biodynamism results in naturally low yields and these, combined with genuinely ripe stems, gave him the perfect raw materials to make sensitive, velvety wines. Instead of punching down he calls his management of the cap an ‘infusion’. This delicate handling and restraint is evident in his wines which are confident, ethereal and moreish and they will certainly appeal in the short term but will also age exceptionally well. Balance is born in wine, not gained through time. Most of the red wines that I tasted were stressed and out of balance and while I don’t doubt that tannin and acidity will fade over time, whatever fruit there is will fall through the floor, too, leaving a dried-out husk of a wine. Classic Burgundy this is not. The term classic doesn’t mean old, brown, lean and smelly – many of the ‘13s will inevitably end up like this in their dotage. However, some wines will look superb after fifteen or twenty years. Another advocate of very gentle handling was Thibault Liger-Belair. His wines showed more structure and power than the Vougeraie reds but they didn’t load the palate with unnecessary tannin or hard acid. Thibault was at pains to point out that he managed the cap very gently indeed. He compared the turning and aerating of the skins with tilling or gently ploughing a vineyard to aerate but not pulverise the soil. He doesn’t practise pigeage for extraction just for aeration and he did this more times than normal in 2013 (5/6 for his Clos de Vougeot). He also said that while his wines were only a touch over 12.5% alc. he only used a slight chaptalisation in order to lengthen the fermentation by coaxing out the yeasts as opposed to bulking up the wine. These explanations all made sense to me when I tasted the wines. In other cases, where winemakers dropped the ball, they couldn’t explain their wines other than to say that they were very proud of them and that against all odds they had made long-lived, classic Pinots – I did not agree with a word of it. I have spent most of this piece talking about reds. Interestingly, the whites are very similarly shaped. They are less fruit-driven than the 2012s and have some of the racy, mineral-derived acid that I liked so much in the 2007s, but sadly, many are hollow on the mid-palate (like the reds). Some wines are, however, long, lithe, keenly acidic and thrilling. Many are just dull and attenuated. Chablis is (again) successful, unless the wines were picked after the rains came down at the beginning of October in which case they are botrytised, fat and sickly. The Mâconnais, once again, fared well with the more skilful wineries managing the fruit and acid balance successfully. With fairer pricing this region is more important than ever in 2013 and restaurateurs are already seeking solace here. Here is a rundown of the wines which I thought captured the true essence of their site, the vintage and the skill of their maker. Unfortunately, my annual QP (qualité prix) annotation, pointing out particularly good value wines, is in short supply this year!